There are different ways to look at this design. First of all, it’s a tribute to the ubiquitous, and lovely, hexagonal colour pencil. It’s also a representative of a new internet-friendly production model: combining relatively simple, locally available materials with high tech, custom designed interface parts. The pencil bowl is available with or without pencils. You can choose to buy the central connector piece (made from laser sintered polyamide) only. Combine with any set of at least 36 standard hexagonal pencils of about 7.0 mm cross section (measured at the smallest diameter), which are available around the world from many department stores and art supply stores. Examples of pencils that fit are Stabilo Aquacolor 1600, and Caran d’Ache Prismalo I, but there are many more. 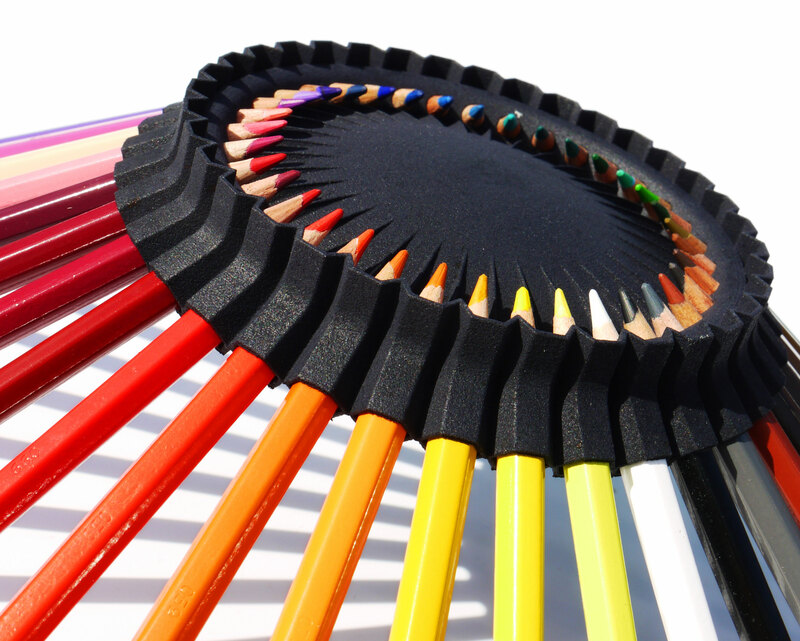 We’ve heard that in the US, Prismacolor Verithin Colored Pencils (available from Amazon and others) work well. Normal black pencils often have the same size and shape and can be used too. 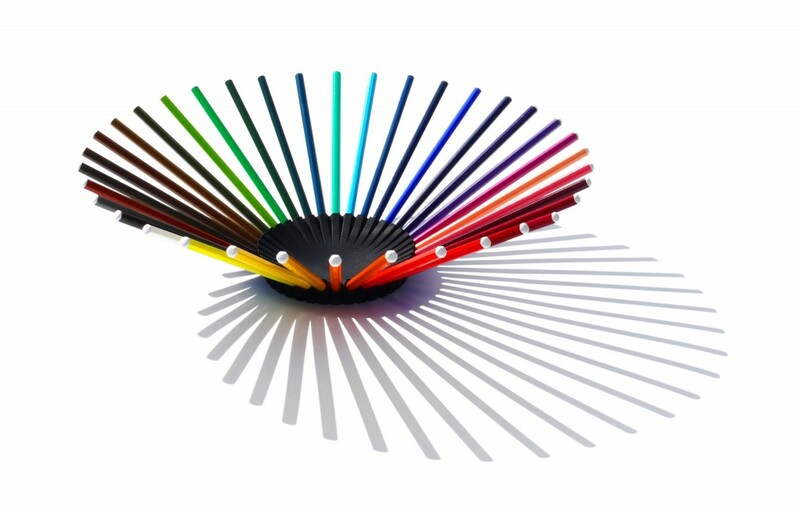 Following the links below, you can choose to buy this bowl as a connector piece only, or including a set of 36 high quality colour pencils.